Powerful rendering for compositing artists. V-Ray’s industry standard ray traced renderer inside NUKE’s industry standard compositing package gives artists the best of both worlds. V-Ray adds production proven lighting, shading and rendering capabilities to NUKE’s powerful compositing toolset. V-Ray for NUKE gives you full control over lighting, shadows, reflections and more – without the need to send it back to 3D. 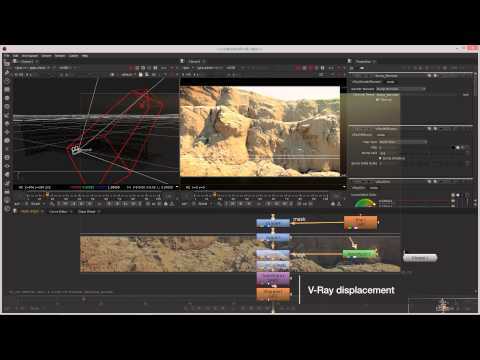 V-Ray fits seamlessly into NUKE’s native node-based workflow. 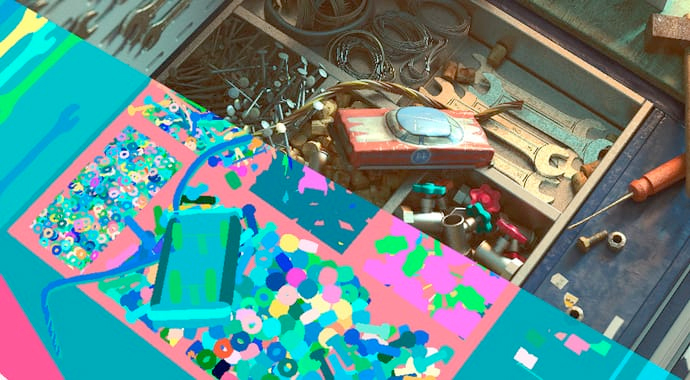 Scene Assets - Extract and reuse individual objects from a V-Ray vrscene file. If you need more control, you can define a set of objects to generate a reusable and customizable VRayScene asset. FULL LIGHT SELECT RENDER ELEMENT - Render individual or groups of lights as separate render elements, and accurately light mix in post with full support for global illumination, reflections and refractions. CRYPTOMATTE - Automatically generate ID mattes with support for transparency, depth of field and motion blur, speeding up workflows for compositors. Improved render elements - Render elements generated in V-Ray for Nuke or rendered in V-Ray Standalone can now be used interchangeably. All render elements can be cached with a single render. V-Ray volume grid - Import and render volume simulations from applications like Houdini. Supports OpenVDB, Field3D and Phoenix FD files. Deep rendering - Improved deep rendering capabilities with support for deep volumes. Save disk space by generating deep data directly inside Nuke. V-Ray denoiser - Automatically reduce noise for cleaner renders. Denoise individual render elements, apply noise masks and denoise final deep composites. Light Cache GI – Speed up renders with V-Ray's unique global illumination method. Enable the new Adaptive Lights algorithm to make it even faster. V-Ray Spot Light – Create spotlights with textured projections, barn door controls and soft shadows. Learn how to set up and render a simple scene in NUKE using V-Ray. 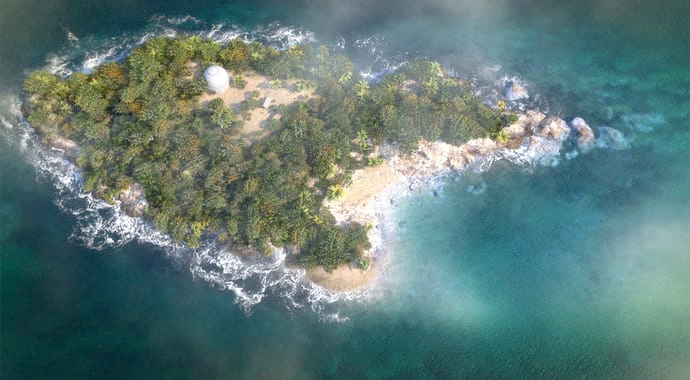 Learn about V-Ray for NUKE’s ability to generate a rendered element. We’ll also take a look at the VRayMaterialPreview node and how it can be used to rapidly develop the look of a shader using just the VRayMaterialPreview node and a VRayMtl node or shading network that you create, without having to set up an entire scene. Learn how to load in new geometry file formats and how they compare to the original file formats that are provided within Nuke. We'll also take a look at the vrmesh and V-Ray proxy node. 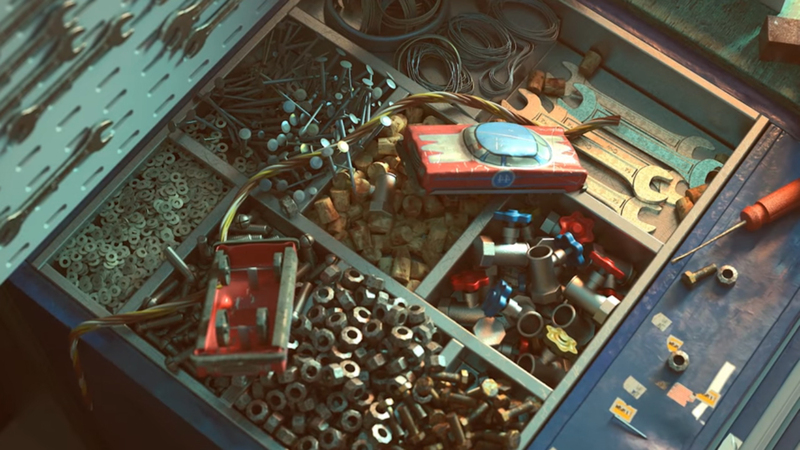 This video takes a look at the V-Ray lights in V-Ray for NUKE. 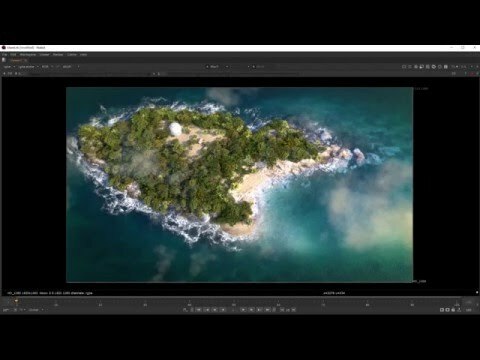 This tutorial shows you how to automatically generate ID mattes with support for transparency, depth of field and motion blur, speeding up workflows for compositors.